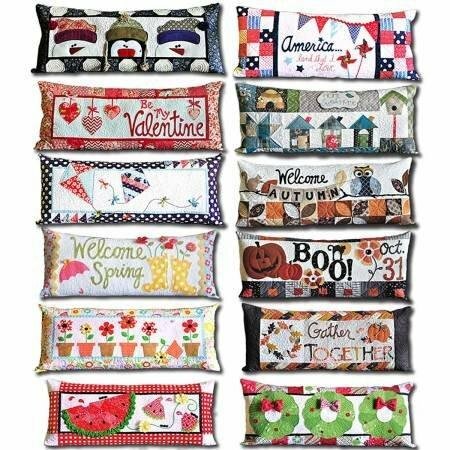 Join us for 12 months of these bench pillows with monthly seasonal themes in machine embroidery. Each month, you will receive the pattern and embroidery designs needed to make a seasonal project with the embellishments and the backing fabrics for $49.00 per month. Kits will be limited so don’t delay in reserving yours. We’ve scheduled projects so that you should receive each kit a month prior to the seasonal project so that you can get to work and be ready.